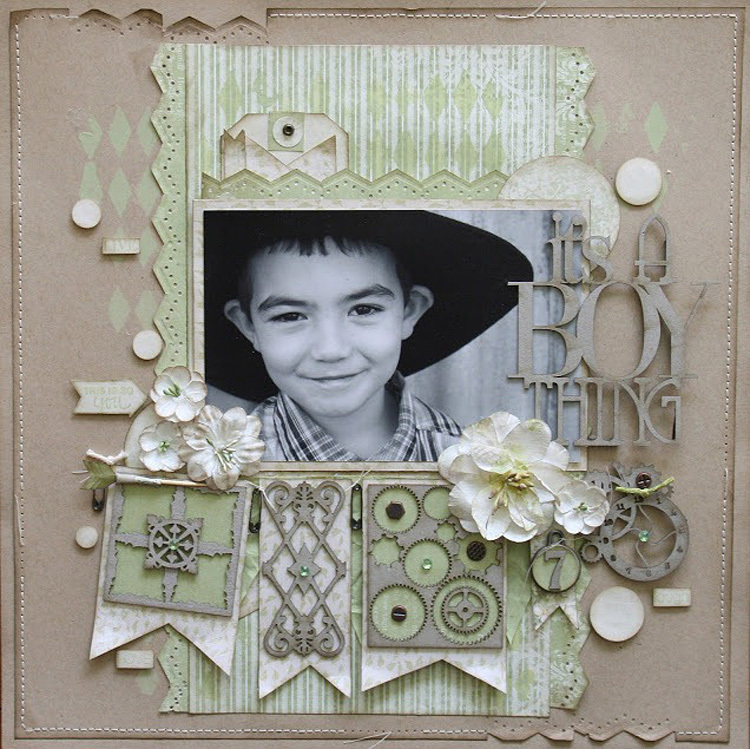 You are with Sandrine today with a cute boy layout using one of my favourite colour combos! Kraft + Green + Beige! I wanted to create something different for Pion Design fans! Bazzill Kraft is a perfect match for “Fairytale of Spring” green papers. To create texture on this layout I added a variety of elements: metal, chipboard, rhinestones, brads, all coordinating with those gorgeous papers!